Hello, and welcome to Shelf Indulgence, my new book review column. I’ll admit, I’m a slow reader, often behind the curve when it comes to the new publishing sensation; I usually catch up by the third book, but not always. My tastes are eclectic, so you will find a mixture of styles and genres, both fiction and non-fiction in Shelf Indulgence, and a mix of new and old. Some lifted from my bookshelves, some borrowed from libraries, some bought from bookshops; a few downloaded to my e-tablet. Expect the conventional alongside the unconventional, and recent publications rubbing shoulders with a few old favourites. Set in a suburban hive (yes, a beehive) this is a simple yet captivating story, in the tradition of Duncton Wood and Watership Down. 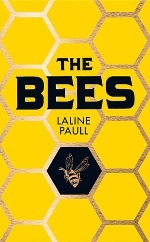 It was recommended to me by a biology undergraduate who was so enthralled by the novel that he based his entire final year project on hive behaviour. The Bees follows Flora 717, a humble sanitation worker bee, as she rises through the ranks. Flora survives human threats and religious purges, evading the machinations of the enigmatic Sage Kin, and braving a terrifying night away from the hive to bring valuable information to her sisters. And when she repels a hive invasion, she is honoured by a summons into the sacred presence of her Queen. But rumours of illegal breeding and murmurings of rebellion disturb the serenity of this once-harmonious community, and when Flora succumbs to a forbidden maternal urge, she embarks on a course that may threaten the very survival of the hive. One critic drew parallels between The Bees and Margaret Atwood’s A Handmaid’s Tale. I would disagree – if you’re looking for something deep and allegorical, this is probably not the book for you. But it is informative, entertaining – and truly compelling. 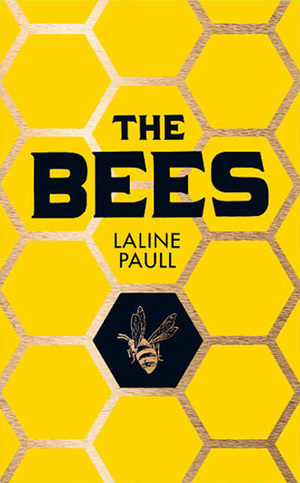 Enriched by fascinating details of bee hierarchy and the ‘hive mind’, The Bees is an adventure, thriller, and romance rolled up into one rollocking good read.